Add pizzaz to your next party by carrying your fine wine in this Cheetah fabric wine bag! It is a great gift idea and will surely add a touch of class. 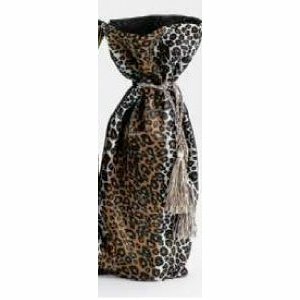 Silky feel cloth animal print wine bottle bag by Joanne Marie Designs.